A value-packed coloring book for PJ Masks fans with 128 pages, 50 stickers, 4 chunky oversized crayons, a paintbrush, and 8 watercolor paints. Get ready for some nonstop coloring and painting as you save the day alongside the PJ Masks! This value-packed coloring book comes with over 50 stickers and a complete art set containing 4 chunky oversized crayons, a paintbrush, and 8 watercolor paints. 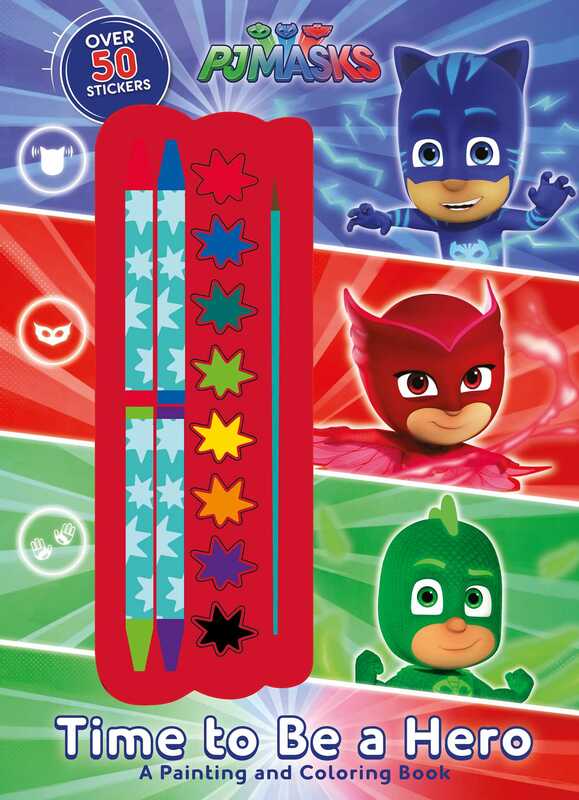 Pick Gekko geen, Catboy blue, or Owlette red and add some color into the PJ Masks' busy night!